This week we chat with Catherine Sekulovski, Media & Communications Officer, Australian Made Campaign. From good old fashioned whiteout to making small budgets stretch, we hear what makes the co-founder of PRINKS in Melbourne tick. I’m a public relations professional that’s all about community, which is why I love my role as Media & Communications Officer at the Australian Made Campaign, and found myself launching PRINKS in Melbourne. If I’m not working or networking, you’ll find me running, cooking, travelling or getting creative with family and friends. I’ve always loved writing, connecting people and organising events, but I was fascinated with branding and decided to study marketing at university. My first job after graduating was in a small business, where I had the opportunity to work on all aspects of marketing and communications. Securing media coverage got my heart racing and developing successful partnerships gave me a huge sense of pride. It was then I realised where I wanted to focus my attention. I’ve had a few over the years (you know who you are), but Janice Breen Burns (of Voxfrock.com.au and The Age) would have to be at the top of the list. She has given me invaluable advice over the years which I’m incredibly grateful for. She is an exceptional writer and her dedication and relentless enthusiasm have always been a huge inspiration to me. I couldn’t live without my media monitoring and social media scheduling tools, the two minute delay on my outbox (for last-minute ideas on how to improve a pitch) and good old fashioned whiteout (I’m a bit of a perfectionist!). Anyone working for a not-for-profit can probably relate to this one – having limited access to resources – making small budgets stretch and wanting to do more but not having enough hours in the day. I think our ongoing campaign encouraging consumers to buy locally made and grown products and produce is pretty special. We work to connect consumers with Aussie farmers and manufacturers and spread the important message about buying sustainably, to ensure the survival of local industries, communities and the environment. Those are issues that really matter to me. I will always work well with a team player who has a positive attitude, shares my passion for delivering results, can challenge me and be challenged. Right now I’m redecorating, so I’m obsessed with homewares and loving pretty much everything on the Interiors Addict blog. It’s hard to choose just one! If I must, David Armano’s blog, Logic + Emotion is a well-rounded favourite. He’s quick to spot digital trends and offers a unique perspective on PR and social media. Make time outside work hours for learning and networking. Join associations, attend meet-ups, subscribe to newsletters and get yourself along to as many educational events as you can manage. The earlier you start, the better. Keeping your finger on the pulse will ensure your skills remain current and help you make valuable contributions towards exciting new campaigns. Exposure to a variety of people working in a range of industries will also give you a good understanding of the opportunities that are out there, help you benchmark your own work and learn how and why requirements and expectations differ by sector. 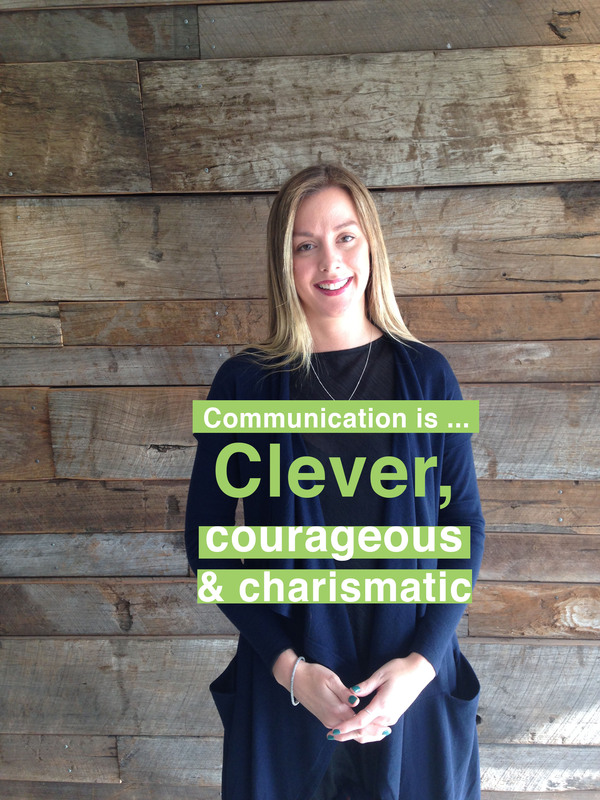 Finish this sentence: ‘Communication is…’ Clever, courageous and charismatic. Come along to the next PRINKS at Bond on Friday, 17 July and continue the conversation with Catherine.